Junior biochemistry major and Honors Program scholar Sarah Harris earned Honorable Mention of the Barry Goldwater Scholarship for her research with Dr. Patrick Lackey on the molecular-level processes that occur during cell division. She was nominated for the award last month based on her academic excellence and promising undergraduate research. 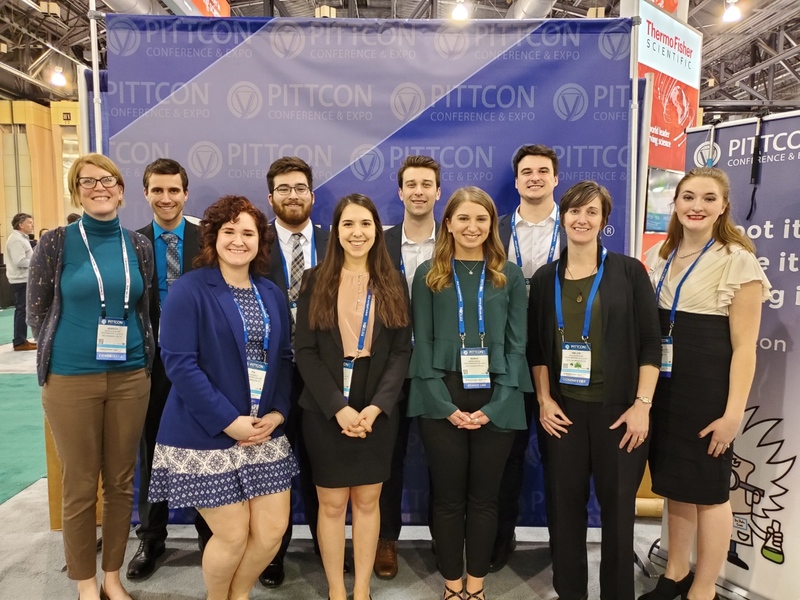 Six seniors from the Biology, Chemistry and Environmental Science Departments participated in the 2018 Pittsburgh Conference on Analytical Chemistry and Applied Spectroscopy (Pittcon) in Orlando, Florida. The students presented posters on their research and served as conference aids for the duration of the conference. Seven Westminster College chemistry and biochemistry majors presented the results of a service-learning project at a meeting of the Slippery Rock Watershed Coalition (SRWC) on Oct. 12 at the Jennings Environmental Education Center. As a liberal arts college, Westminster is a place for students to grow both inside and outside of their majors. Being able to effectively communicate original ideas and findings is an essential skill—especially for students who tirelessly research in the laboratory. Therefore, the Chemistry Department hosts weekly seminars for junior and seniors to further develop their professional and oral communication skills.